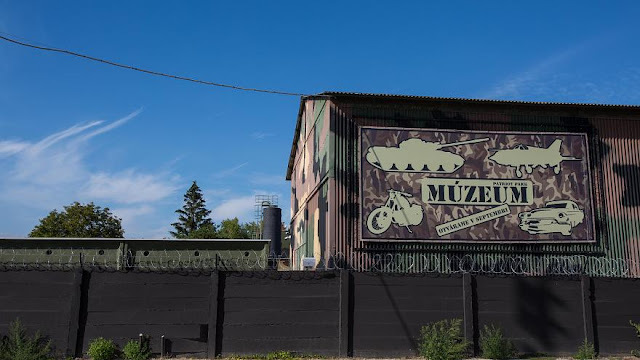 Trnava, Slovakia (October 7, 2018) BTN — A small village in Slovakia has received unusual attention in recent months since a very large motorcycle club alleged to be linked to the Russian president. 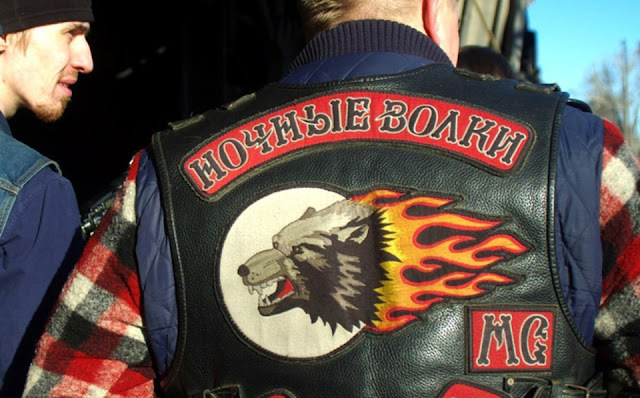 The club, known as the Night Wolves motorcycle club, opened their European headquarters on a nearby abandoned pig farm not far from the regional capital of Trnava. The farm was abandoned, one of many relics left behind from the era of Communist Czechoslovakia. "The centre was planned as a patriotic museum, where the WWII items would be on show so that the people — children and adults alike — could see and touch them," Andrei Bobrovsky, co-creator of the Night Wolves Europe centre, tells Euronews. "We also planned to have a space for children and family activities, and, of course, the Night Wolves Europe clubhouse — a place for our club members to live and meet guests." "It's not that we wanted to create a centre in Slovakia," he continues, "we just saw active, honest and decent people who could do something together with us despite all this European politics." As residents of Dolna Krupa village mingle with family on a hot Sunday, many of them agree that, thanks to the bikers, the pig farm now looks a lot better. The farm gives off eerie vibes as you drive past it, then upon entering the village, local eyes follow closely. A young, tattooed man approaches in a sleeveless shirt, staring with suspicion. The conversation seems mild, but there is something in the air — distrust. Another housekeeper down the main road adds: “I can tell you, people here were more peaceful when the bikers were not around. I mean, there are other bikers here, but these Russians, they're certainly something different." 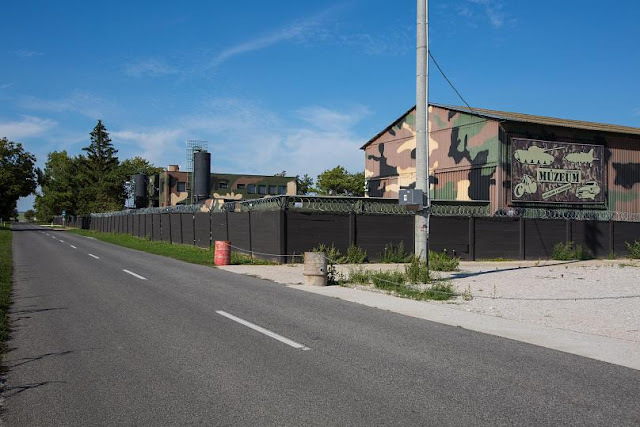 The compound looks like a military base with buildings painted in camouflage, high fences lined with barbed wire, and warning signs calling for no photography of private property. "We estimate that our active members total thirty to forty thousand people," says Bobrovsky. "There are several thousand people in every country we go to. We're becoming a serious force that can move mountains and share our idea to the very end. It's become a mass movement." Jozef Hambalek owns the compound and serves as the chief of the Night Wolves faction in Slovakia. He previously conducted military training for another local patriotic group, a group whose earlier members were found on the front lines in eastern Ukraine fighting on the side of the Russian-backed separatists — the same place where members of the Night Wolves gang had been seen. Hambalek also boasts ties to Slovakia's former Minister of Interior, Robert Kalinak, who shares his love of motorbikes and gangs. Kalinak was forced to resign earlier this year amid a swirl of controversy surrounding the murder of an investigative reporter and his girlfriend in February. Jan Kuciak and Martina Kusnirova were killed, execution-style, at their home in Veľka Maca. They were both 27-years-old. Kuciak was looking into alleged corruption and ties to the Italian mafia among politicians and their staff in Slovakia's ruling party. Seven months later, four suspects were arrested. They were identified by authorities examining data from Google street view, which was used in a successful police raid. Slovakia, a member of the European Union since 2004, has seen its fair share from the rise of nationalism recently, creating a bottom-up divide from beer talks in bars to the highest tiers of politics in Parliament. Since the war in Ukraine started four years ago, many citizens by then began to fragment into two groups: One against the European Union, favouring Russian politics and supporting separatists in Eastern Ukraine. The second looks up to the EU and supports democracy in Ukraine. By 2015, the political dispute had deepened when European countries started to see thousands fleeing the Middle East and arriving on the continent. It became a political weapon. Almost no refugees left Ukraine for Slovakia. People in the pro-Russian group began to believe nothing bad was really happening in Ukraine. The political divide is apparent in Dolna Krupa as well, a village of just over 2,000 people which stands both for and against the presence of the Night Wolves. Put simply, the locals there reflect the national stance on these issues. A local activist claims the bikers don't venture into their village, they just drive through it, but the issue is broader and that's why they started a petition against them. But Hamalek, Night Wolves chief and owner of the compound, received a €33,000 fine in the summer for having military equipment and vehicles stationed in there. Slovak law dictates that such exhibits must be reported to officials.